Efficient data storage, a major concern in the modern computer industry, is mostly provided today by traditional magnetic disks. However, the cost of a disk transfer (measured in processor cycles) continues to increase with time, making disk accesses increasingly expensive. 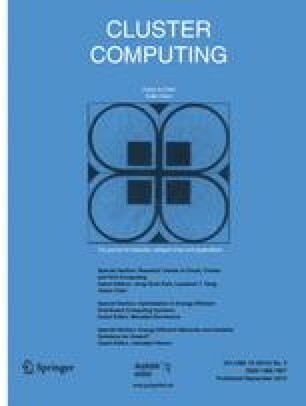 In this paper we describe the design, implementation and evaluation of a Network RamDisk device that uses main memory of remote workstations as a faster‐than‐disk storage device. In our study we propose various reliability policies, making the device tolerant to single workstation crashes. We show that the Network RamDisk is portable, flexible, and can operate under any of the existing Unix file systems. The Network RamDisk has been implemented both on the Linux and the Digital Unix operating systems, as a block device driver without any modifications to the kernel code. Using several real applications and benchmarks, we measure the performance of the Network RamDisk over an Ethernet and an ATM network, and find it to be usually four to eight times better than the magnetic disk. In one benchmark, our system was two orders of magnitude faster than the disk. We believe that a Network RamDisk can be efficiently used to provide reliable low‐latency access to files that would otherwise be stored on magnetic disks.